There are many cold-formed steel resources available for design professionals. 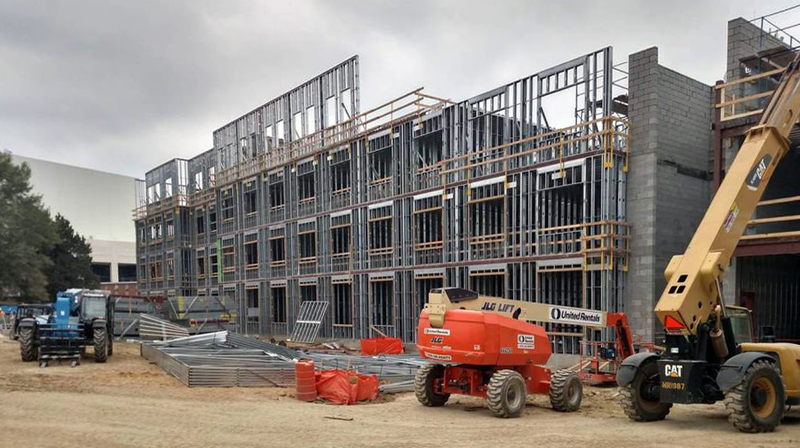 This article points to resources available in the building industry for design professionals as well as some things to consider when you begin your next project with cold-formed steel framing, particularly structural application. Earlier today, the Gypsum Association issued recommendations on the application of abuse-resistant and impact-resistant gypsum panels on nonstructural steel studs. The recommendations are based partially on a series of field tests sponsored by the gypsum and steel framing industries, and partially on market-based input from Gypsum Association members. 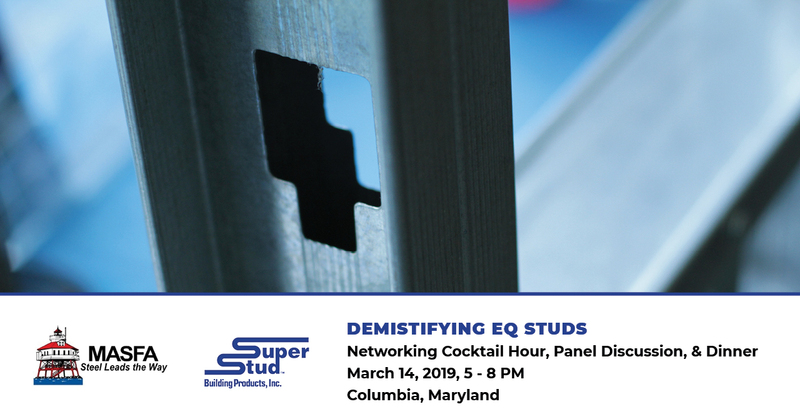 Don Allen, P.E., Director of Engineering at Super Stud Building Products, will be part of a cold-formed steel framing panel discussion sponsored by the Mid-Atlantic Steel Framing Alliance (MASFA) entitled Demystifying EQ Studs. 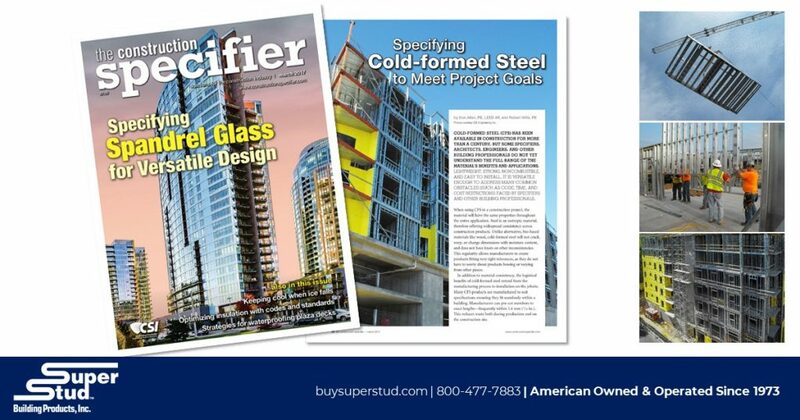 Steve Beach, Sales Representative for Super Stud and MASFA Board of Directors Member, will also be representing the multi-regional cold-formed metal framing manufacturer. 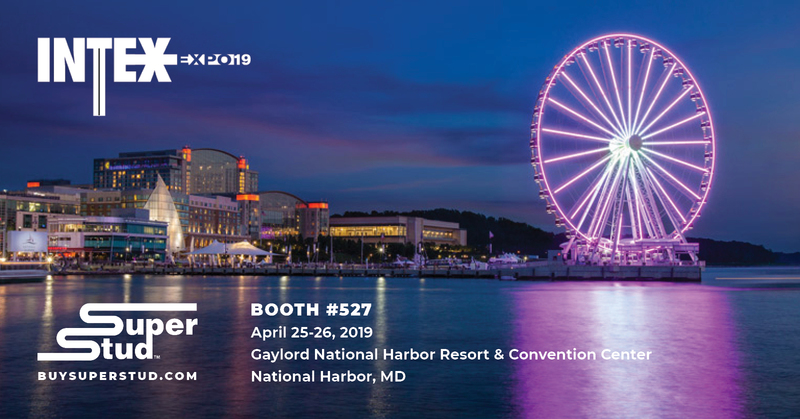 Super Stud Building Products, Inc., the multi-regional cold-formed metal framing members and accessories manufacturer, will be exhibiting at the 2019 INTEX Expo in National Harbor Maryland. Year after year, the INTEX Expo is the largest trade show specifically catering to the wall and ceiling industry, highlighting the latest products, services and solutions. From drywall, ceilings, metal framing, EIFS, software and more, the INTEX Expo is a great opportunity for Super Stud Building Products to highlight new cold-formed metal framing products and design-build solutions while building relationships with new and existing customers year after year. 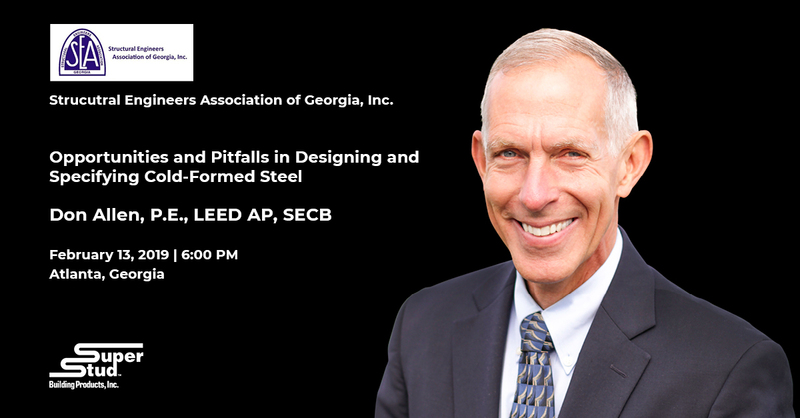 Don Allen, P.E., LEED AP, SECB, Director of Engineering at Super Stud Building Products, will be presenting at the Structural Engineers Association of Georgia (SEAOG) on February 13, 2019. The American Iron and Steel Institute (AISI) has announced Supplement No. 1 to AISI S100-16, North American Specification for the Design of Cold-Formed Steel Structural Members, 2016 Edition, has been published and is available for download. 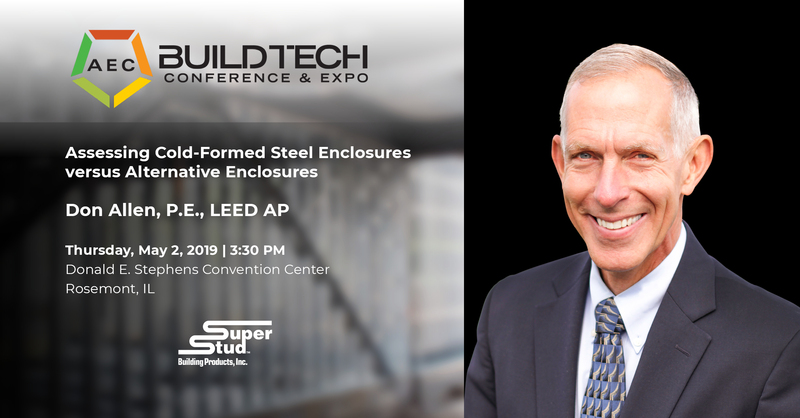 Super Stud Building Products, Inc., the multi-regional cold-formed metal framing members and accessories manufacturer, is proud to announce that Don Allen, P.E., LEED AP, Director of Engineering, will be presenting at the AEC BuildTech Conference and Expo. 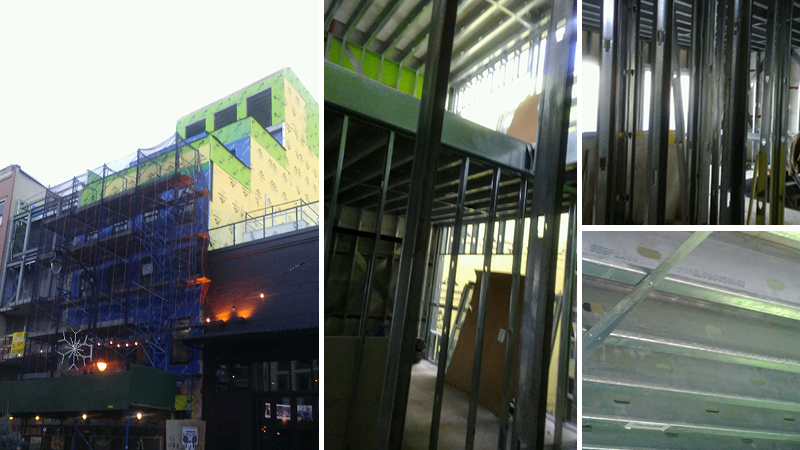 Super Stud Building Products recently visited 143 Newark Avenue in Jersey City, New Jersey, which is taking shape along Jersey City's Pedestrian Plaza. With 2019 in our sights, we highlight some of the trends driving various market sectors for 2019 in the AEC industry. With exciting new projects set to open and technologies like virtual reality continuing to be used in greater scale for project visualization and pre-planning, the building industry is paving the way for innovation. 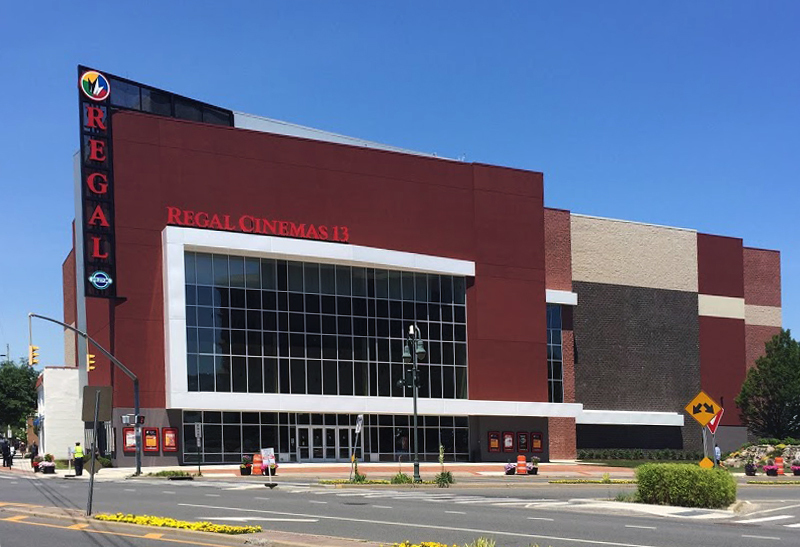 Super Stud Building Products, one of the leading manufactures of cold-formed metal framing in New York, provided cold-formed steel framing materials and engineering services for the newly constructed Regal Entertainment Group’s 13-screen movie theater in Lynbrook, New York. The 83,000 SF theater features a state-of-the-art theater experience for moviegoers. 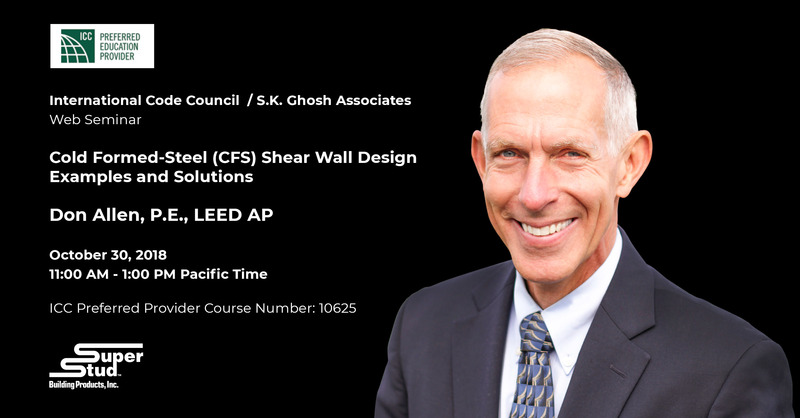 Don Allen, P.E., LEED AP, Director of Engineering at Super Stud Building Products, will be presenting a webinarhosted by S. K. Ghosh and the International Code Council on October 30, 2018. According to a press release issued October 4, 2018, The American Iron and Steel Institute (AISI), in cooperation with the Wei-Wen Yu Center for Cold-Formed Steel Structures at the Missouri University of Science and Technology in Rolla, Missouri, is a co-sponsor of the Wei-Wen Yu International Specialty Conference on Cold-Formed Steel Structures 2018. This year’s conference will be held on November 7-8 at the Union Station Hotel in St. Louis, Missouri. A total of 1.6 CEUs will be available for participants. 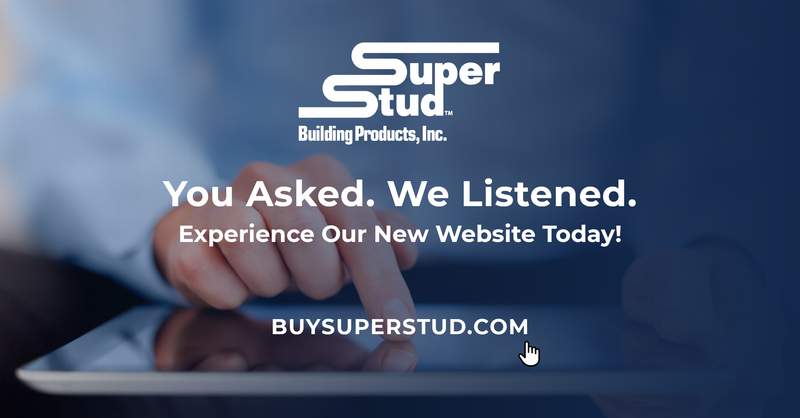 EDISON, NJ – Super Stud Building Products, Inc., the multi-regional cold-formed metal framing members and accessories manufacturer, is proud to announce the launch of its new website. The newly designed website greatly improves functionality and performance on both desktop and mobile displays, offering one-click access to essential product information, instant product submittal downloads, and overall user-friendly page navigation at the office or in the field.Features and functions such as the Super Stud Submittal Builder have been completely redesigned to include instant load times, a product checklist and one-click access to PDF submittal documents with no login required. 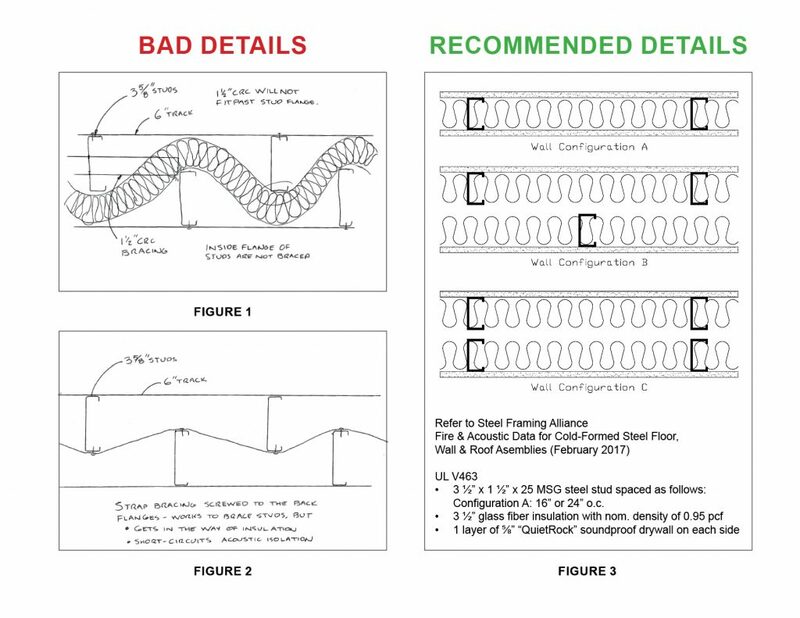 There are several excellent ways to make acoustically isolated walls with cold-formed steel (CFS) framing: including double walls, multiple layers of sheathing, resilient channels, and sound isolation clips. Putting 3-5/8” studs in 6” tracks, and snaking insulation between the studs in a serpentine fashion, is NOT a good way to acoustically isolate walls. 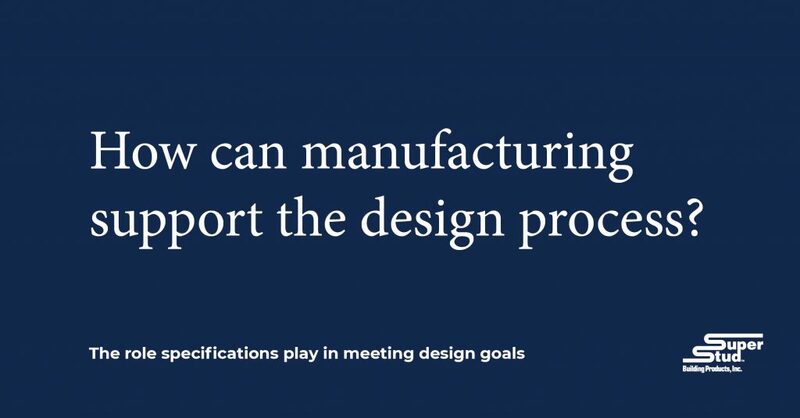 How Can Manufacturing Support the Design Process? Up until recently, Manufacturing and Architecture have coexisted for many years as singularly important facets of the building process. Now, in the advent of building information modeling (BIM) and other smart technologies, the need for the architect and building product manufacturer to coordinate early in the design process is critical in achieving a project’s design intent. This coordination also helps keep the project within budget and on schedule. 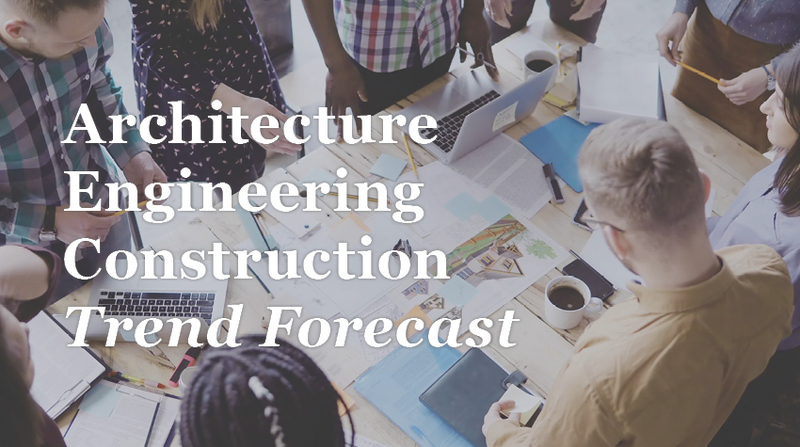 The critical intersection between design intent and fabrication has led to a growth in the need for accurate specifications, precision expertise in building material engineering, and partnerships that bring a design vision to life. EDISON, NJ– Super Stud Building Products, Inc. is excited to share the features and benefits of The EDGE™ steel framing drywall system, the safest performance framing system the building industry has to offer. The rolled-edge steel safety system features lightweight and high-strength steel combined with a design that incorporates a closed triangular lip, making The EDGE™ not only the safest choice on the market but also a sure fit for contractors, architects and specifiers looking to take advantage of the Prevention through Design (PtD) pilot credit from the U.S. Green Building Council (USGBC). 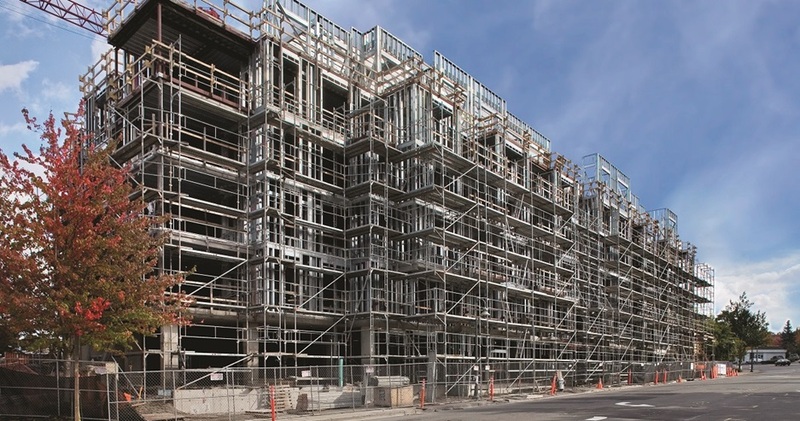 Cold-Formed Steel (Cfs) Has Been Available In Construction For More Than A Century, But Some Specifiers, Architects, Engineers, And Other Building Professionals Do Not Yet Understand The Full Range Of The Material'S Benefits And Applications. Lightweight, Strong, Noncombustible, And Easy To Install, It Is Versatile Enough To Address Many Common Obstacles (Such As Code, Time, And Cost Restrictions) Faced By Specifiers And Other Building Professionals. When using CFS in a construction project, the material will have the same properties throughout the entire application. Steel is an isotropic material, therefore offering widespread consistency across construction products. Unlike alternative, bio-based materials like wood, cold-formed steel will not crack, warp, or change dimensions with moisture content, and does not have knots or other inconsistencies. This regularity allows manufacturers to create products fitting very tight tolerances, as they do not have to worry about products bowing or varying from other pieces. 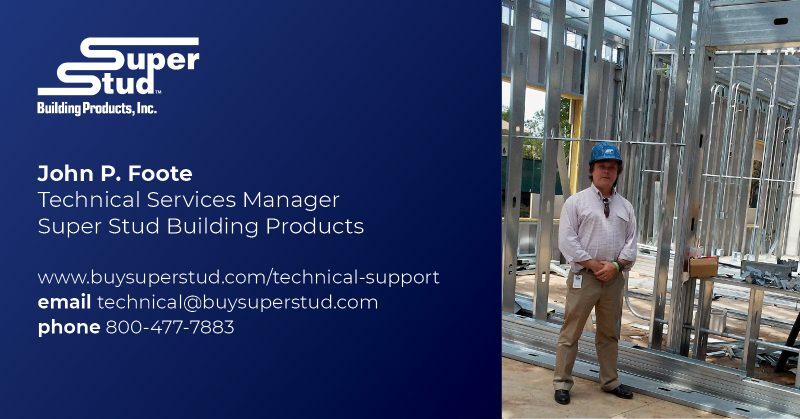 EDISON, New Jersey – Super Stud Building Products, Inc., the multi-regional steel framing and accessories manufacturer, has expanded its technical engineering department with the addition of Technical Services Manager John P. Foote. John currently manages engineering projects for Super Stud, providing technical support of company products to architects, engineers, contractors, building owners, distributors and to Super Stud sales management staff. John, alongside Director of Engineering Don Allen, P.E., LEED AP, provides complete technical assistance as well as providing steel mill certifications and product specification sheets to internal sales staff and outside customers to complete Cold-Formed Steel (CFS) building material orders. 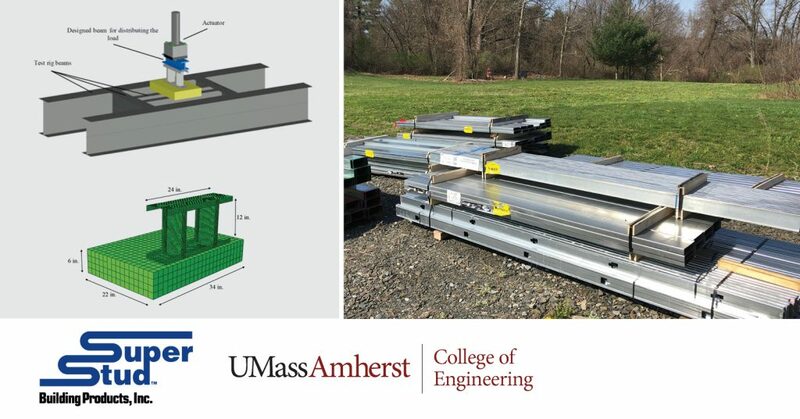 EDISON, NJ– Super Stud Building Products has graciously donated cold-formed steel framing system materials for a study being conducted by the Department of Civil and Environmental Engineering at the University of Massachusetts Amherst. The study explores the structural response of cold-formed steel stud assemblies (i.e., stud and track) with partial bearing conditions. Dr. Kara Peterman and the Department of Civil and Environmental Engineering will be leading the study which will be conducted throughout the summer. Peterman, assistant professor of civil and environmental engineering, was recently recognized for her work with cold-formed steel framing, having won the prominent 2018 Norman Medal, the highest honor granted by the American Society of Civil Engineers (ASCE). The theory behind the study suggests that wall framing with partial bearing conditions (i.e., not fully bearing on a concrete slab) may result in reduced axial capacities: for both the wall and the slab. 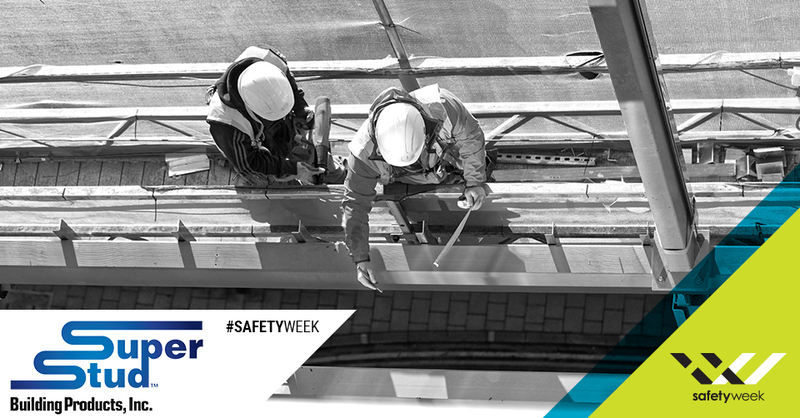 EDISON, NJ– May 7, 2018 – Super Stud Building Products, Inc., the multi-regional steel framing and accessories manufacturer, is taking part in this year’s Safety Week events, showcasing the importance of jobsite safety with their contribution of innovations in cold-formed steel framing. Whether an architect, engineer, construction manager, contractor, builder or jobsite employee, Super Stud is committed to making safe choices a reality. The team’s commitment to producing quality products with end-user safety in mind has lead to some of the wall and ceiling industries’ biggest breakthroughs, including The EDGE™ steel stud. 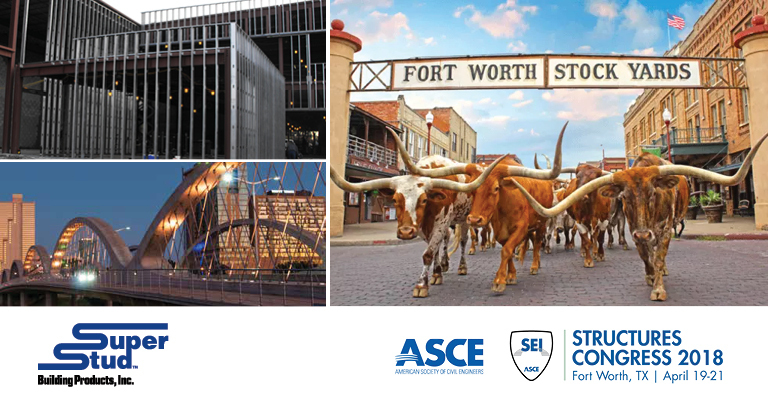 FORT WORTH, TXApril 15, 2018 – Don Allen, P.E., Director of Engineering at Super Stud Building Products, Inc., will be representing the multi-regional steel framing and accessories manufacturer at this year’s American Society of Civil Engineers ( ASCE) Structural Engineering Institute’s annual conference. Allen will be addressing Thermal Bridging in a technical session Friday, April 20th from 9:30 – 10:30am. Allen will cover the implications, benefits, challenges, and code compliance ramifications of cold-formed steel thermal design applications as well as highlighting industry trends. This session will benefit architects, engineers, specifiers, material suppliers, code consultants, owners, owner’s representatives, construction managers, students and young professionals. WASHINGTON, D.C.,January 3, 2018 – The Cold-Formed Steel Engineers Institute (CFSEI) will host a webinar on “Change Orders and Cold-Formed Steel” on Thursday, February 22, 2018 at 3:00 p.m. ET. 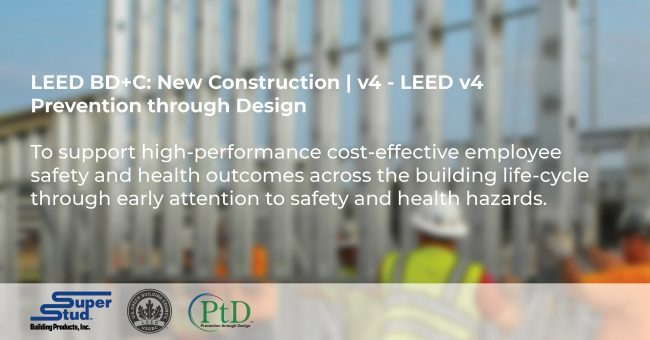 The webinar is designed for architects, engineers, building officials and contractors. Participants are eligible for 1.5 PDHs.